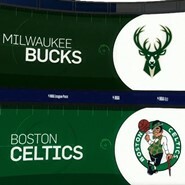 The Milwaukee Bucks and Boston Celtics are heading to game 7 in a series that have been a fascinating chess match of lineup changes by both head coaches. The do-or-die game will be tomorrow at TD Garden in Boston and as the game approaches it will be interesting to see how these two coaches will adjust their lineups. The Celtics’ Brad Stevens has acknowledged that he’ll shorten his rotations and Joe Fronty can be expected to do the same in a game where the home team is heavily favored. The Celtics enter the game as 4.5-point favorites and have yet to lose a game at home in this year’s playoffs. so far have prevailed in this series by using a scoring-by-committee approach as players like Al Horford, Jayson Tatum and Terry Rozier have taken turns becoming productive weapons scoring wise. Power forward Giannis Antetokounmpo scored 31 points and grabbed 14 rebounds for the Bucks as Milwaukee beat the Celtics 96-87 Thursday night at the Bradley Center. For the Bucks watch out for the influence of center Thon Maker as a defensive stopper to get Milwaukee in position to contain Boston’s sharpshooters and steal this game to advance to the second round. If small forward Semi Ojeleye can make Antetokounmpo work hard for his buckets, then the Celtics should move on to play the Philadelphia 76ers. Stevens already knows what is like to win a game 7, as last year his Celtics defeated the Washington Wizards in the only other game 7 of his career during the 2017 Eastern Conference Semifinals. Antetokounmpo will try to win his first postseason series after losing in the first round of the 2015 and 2017 playoffs. The “Greek Freak” is averaging 28 points, 9.6 rebounds and 6.5 assists and almost 40 minutes per game in this series against the Celtics.